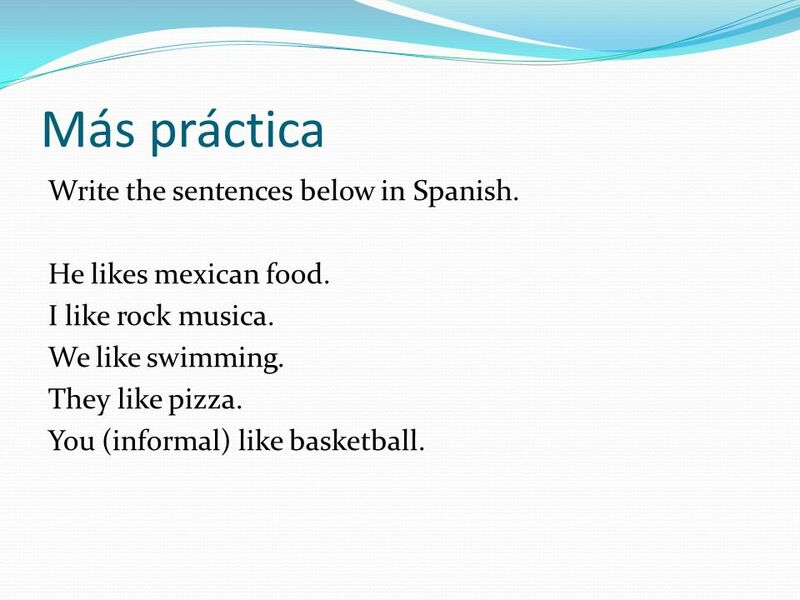 8 Más práctica Write the sentences below in Spanish. He likes mexican food. I like rock musica. We like swimming. They like pizza. You (informal) like basketball. 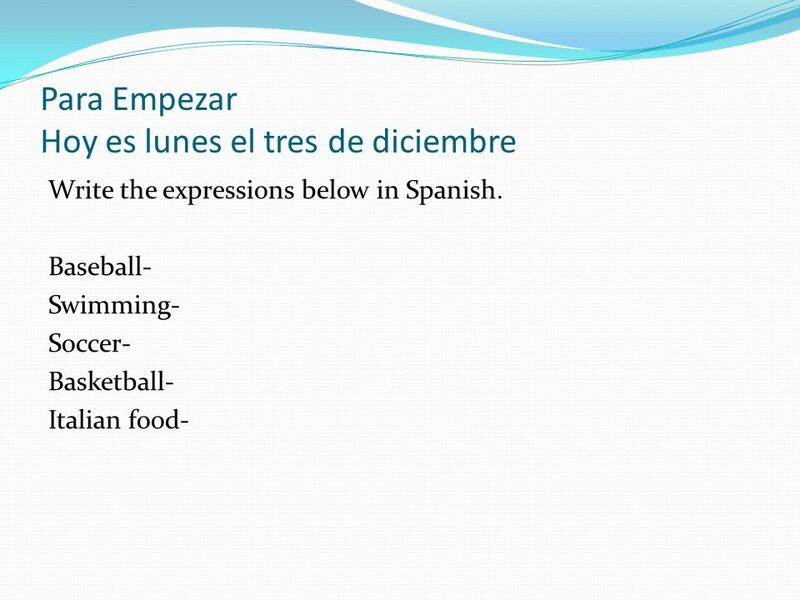 Descargar ppt "Para Empezar Hoy es lunes el tres de diciembre Write the expressions below in Spanish. 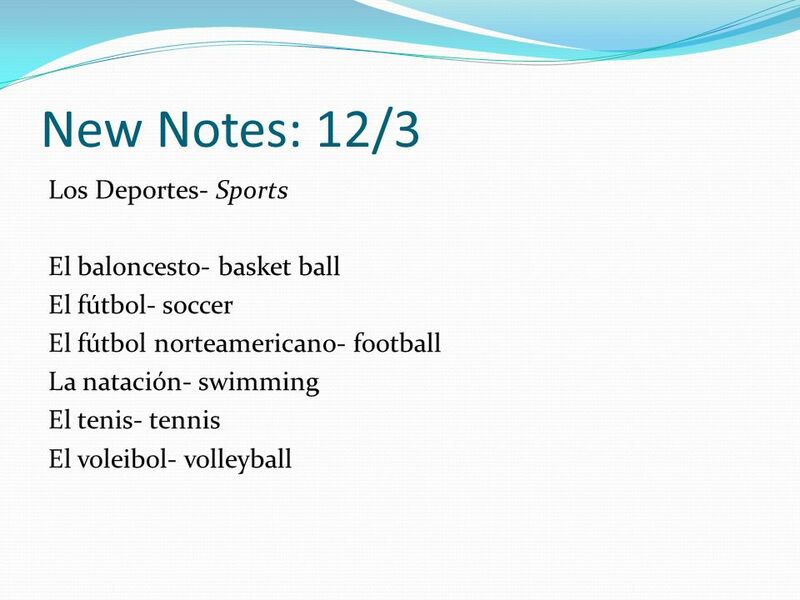 Baseball- Swimming- Soccer- Basketball- Italian food-"
El Verbo GUSTAR En español _________significa ___________ In English, the equivalent is to like. 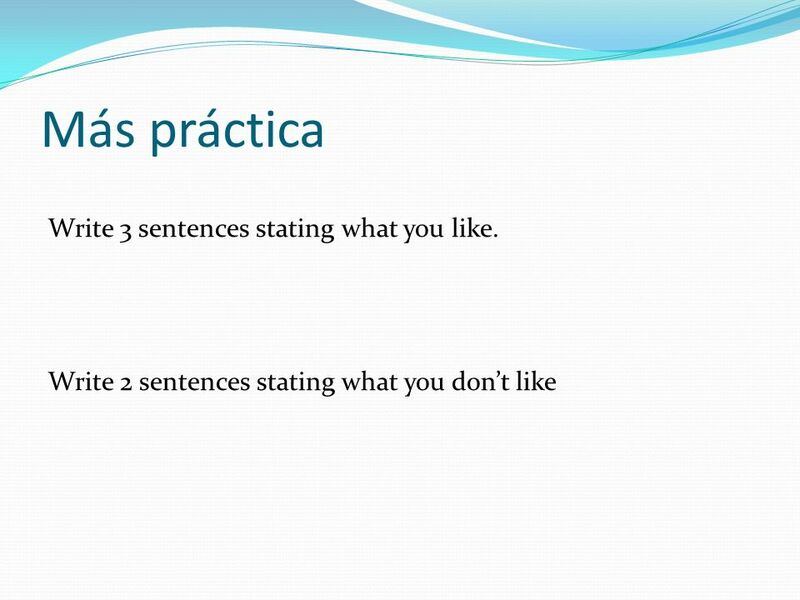 Así se dice p. 32 Talking about likes and dislikes. Para Empezar Hoy es martes el once de diciembre Write what each person/ the people like to do below. Ella Él Ellas Ella Él. Para empezar Hoy es miércoles el siete de noviembre Write the correct forms of Ser in the spaces below. 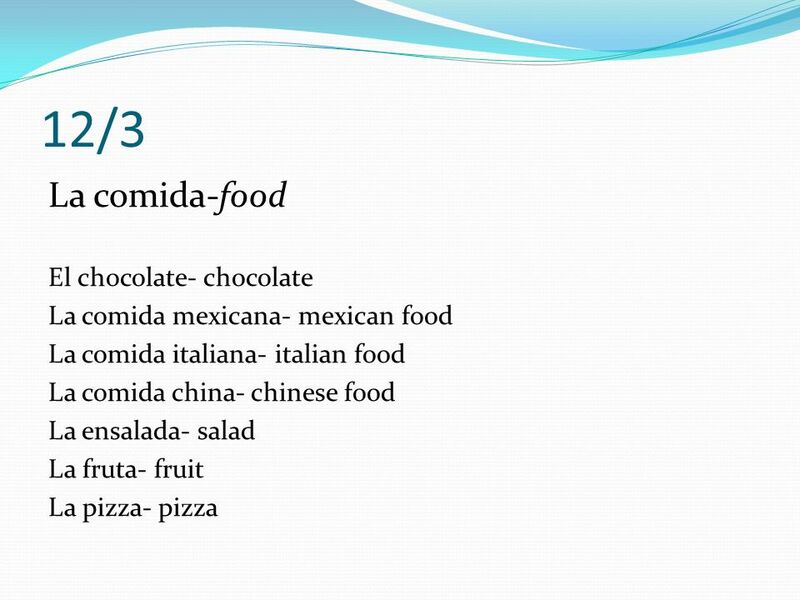 Ella________Tú_________ Yo________ Ellos_________. SPANISH 1 Unidad 1 Etapa 1 Sra. Lear. 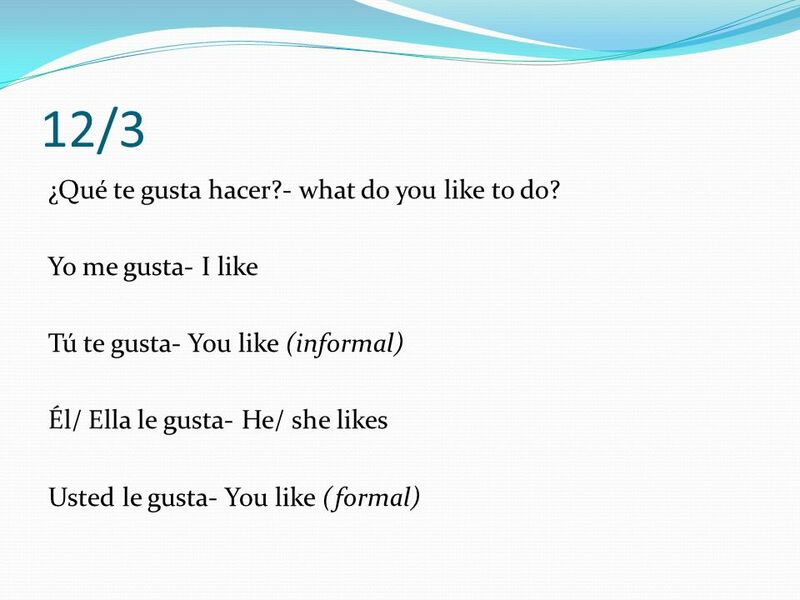 Saying what Someone Likes to Do Using gustar + infinitive Español 1 Unidad 3 Etapa 1. Para Empezar Hoy es lunes el diecinueve de noviembre Write the expressions below in Spanish. I have We have They have She has. 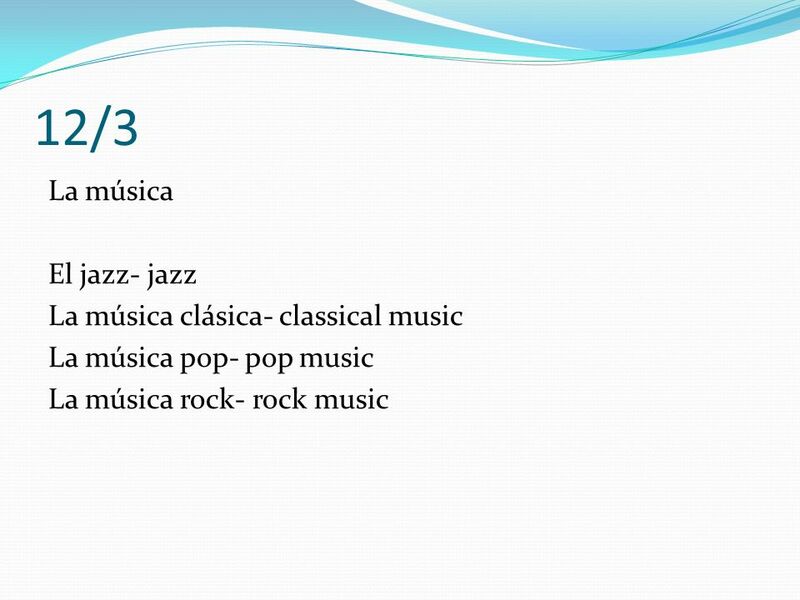 SUBJECTS AND VERBS Gramática 1. Verbs Verbs – the action word of the sentence – like dance, sing, or talk. 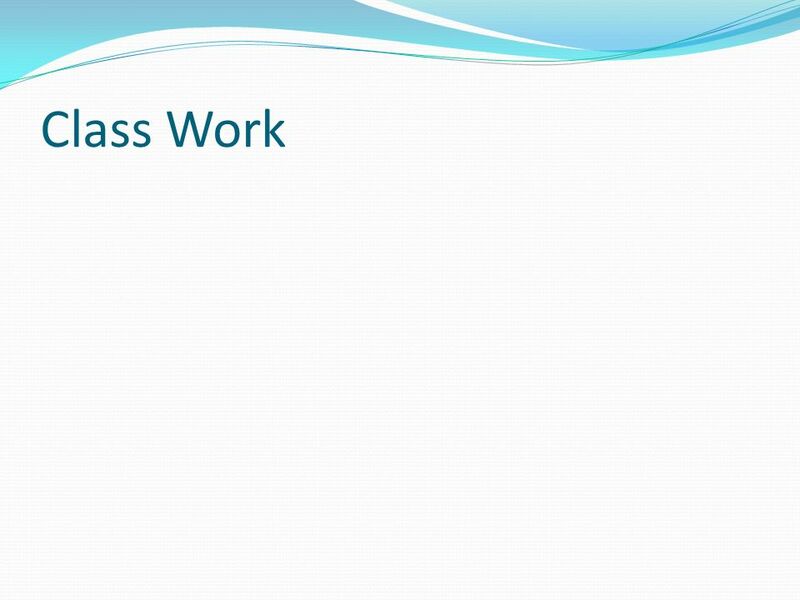 Am/is/are are also verbs. Verbs – the action. 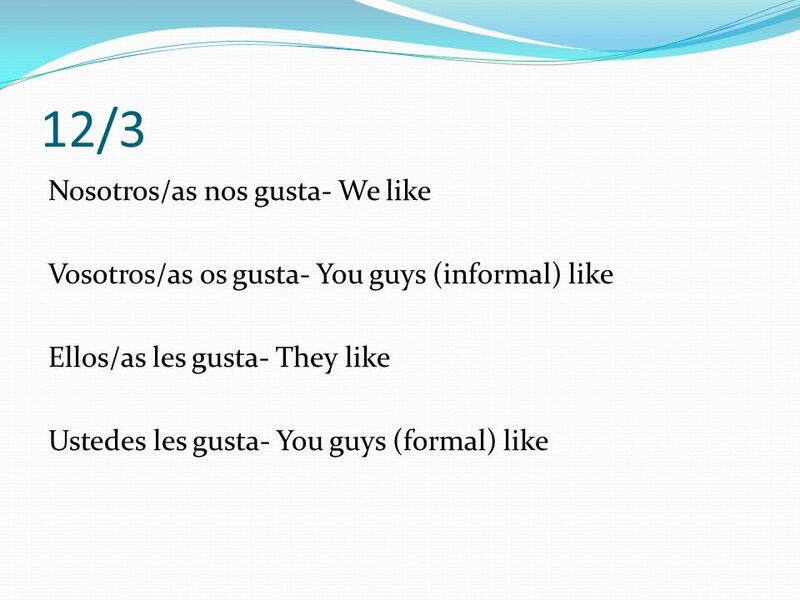 Gustar Gustar- to _______ ___ ______ ___ ______ If what you are liking is singular, use _____ If what you are liking is plural, use _____ Use gustar with. Conjugate dar in the present tense Grammar essentials #25.